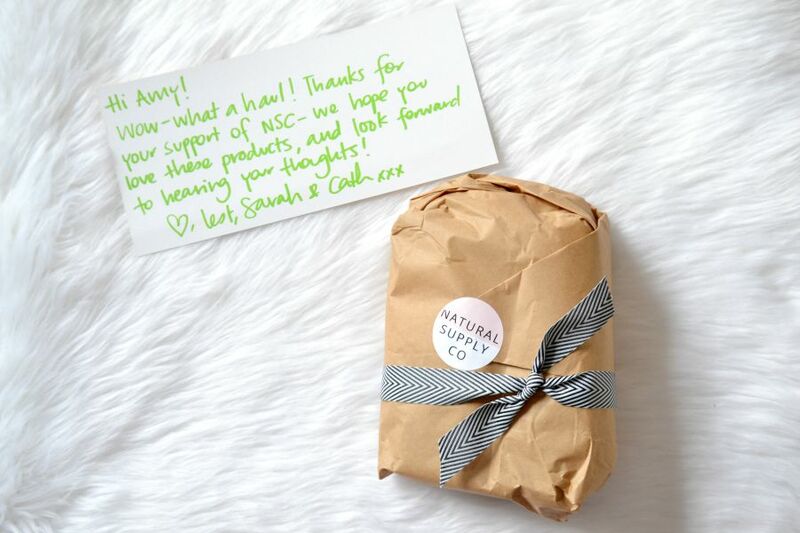 The Natural Supply Co is website that sells organic, natural and cruelty free products. I've purchased from them before back in October (see here) but since then, they've expanded to 60 brands. 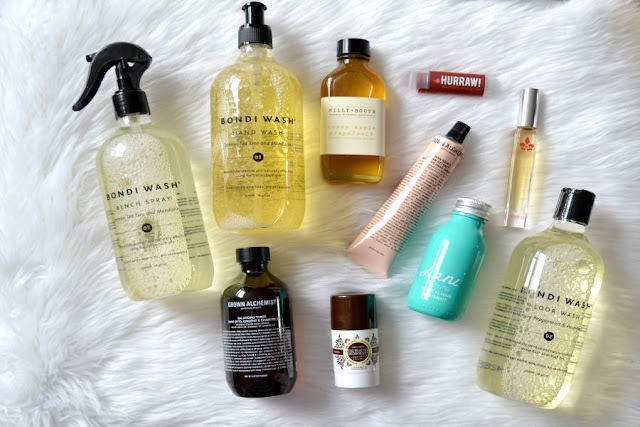 Theres quite a few new products and brands that weren't available when I last purchased, so I really struggled to keep my wishlist small. HURRAW! Tinted Lip Balm in "Black Cherry"
I purchased some Nilly + Booth products in my last order and loved them, so I'm really excited to try out their cleanser. Grown Alchemist is a brand that I'm adoring at the moment (their day cream, cleanser and lip balm are incredible) so I ordered some more products that I haven't tried before. I don't really need a hand cream (or a toner for that matter) but the hand cream smells lovely and feels beautiful. And I finally ordered my very first HURRAW! lip balm. I'm about 5 years behind on the HURRAW! trend, but I'm looking forward to trying it. I decided on a tinted lip balm because I rarely wear lipstick lately (I always forget that I'm wearing it and end up with 1000 lip prints all over my baby), but I still want something more than plain lips. The Lani Tropical Hair Treatment reminds me a lot of the Hair&Me Hair Rejuvenation Treatment (this one) because they're both pre-wash treatments that contain 4 natural ingredients and nothing else. 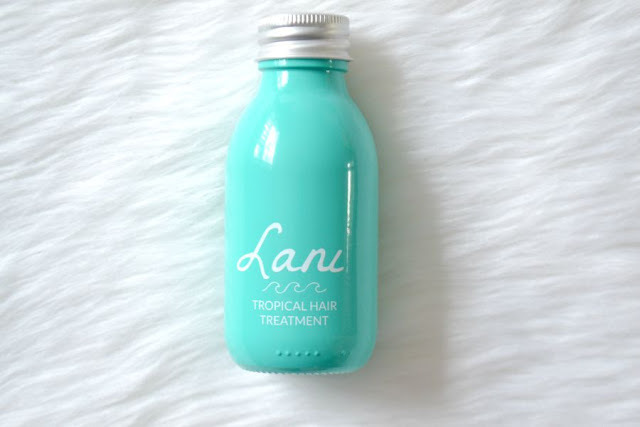 I'm looking forward to seeing how the Lani treatment stacks up against the Hair&Me treatment since I adore the Hair&Me version. I've heard some great things about this but I'm a bit worried about how difficult it will be to get out of the packaging. The packaging is beyond adorable, but coconut oil hardens so it's solid in the jar and I'm not sure how user friendly the packaging will be. .
Another product that's hyped up online is the LAVANILA deodorant. I really love my MooGoo deodorant so I'm interested to see how this compares to it. I also ordered a roll on "Vanilla Passionfruit" fragrance. Because I'm breastfeeding, I'm very aware of what I put on my body so I thought this natural fragrance would be perfect. I'm still on the fence about the scent. I don't love it but don't hate it - it just smells different to what I was expecting. I think that I should have just ordered the plain vanilla roll on instead. Natural Supply Co also sell natural cleaning products. I picked up a hand wash, floor wash and bench spray to keep in the kitchen. I normally use Earth Choice (which is a natural cleaning brand) so it will be great using a different brand for a change. The 2 scents that I got are really lovely, especially the Sydney Peppermint & Rosemary floor wash. 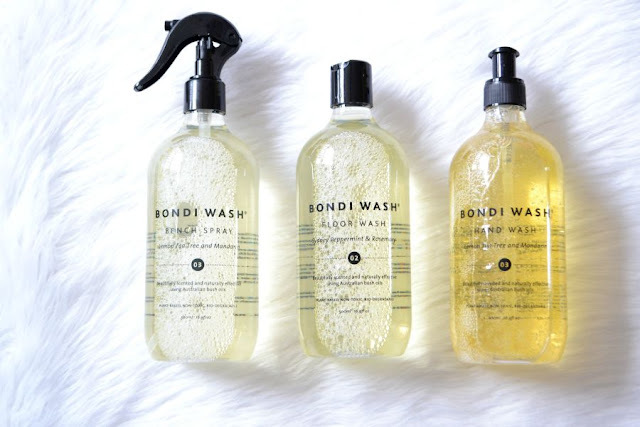 These are a bit more expensive than Earth Choice so I wouldn't purchase them all the time but they're great as an occasional gift to myself to make cleaning more glamorous! And that's what I purchased. I think what really makes NSC stand out from other online stores is their personalised service. They gift wrap your order free of charge and add a lovely hand written message too. You don't feel like a number, instead you're treated like an appreciated customer. You can purchase from the website here. If you spend $99 or more you get free shipping. If you sign up for their newsletter, they'll send you a $10 voucher. Also like them on Facebook here, as they post discount codes and GWP deals on there regularly. I'll be purchasing from them again in the future. There were a few things that were sold out when I made my purchase (I'm looking at you Jacqueline Evans Muslin Cloth and the BITE Beauty 5 Night Fix For Lips pack) as well as the Sans [ceuticals] Goji Cleansing Oil being on my want list that I skipped this order. Who else struggles with ordering scents online? 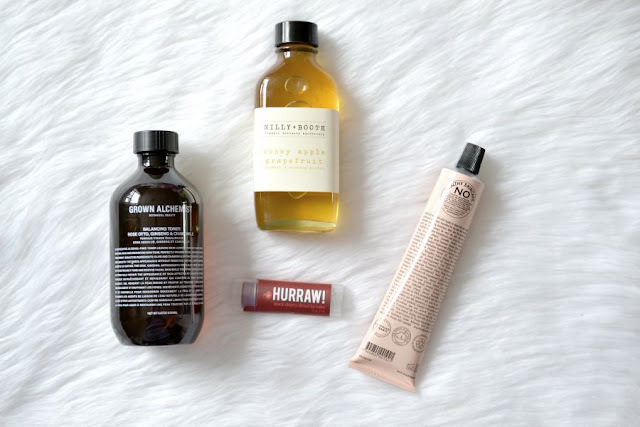 I was kindly given a blogger discount, but still purchased the items with my own money. All thoughts and views are completely my own, and are always 100% honest. See my disclosure policy here. Great haul ! 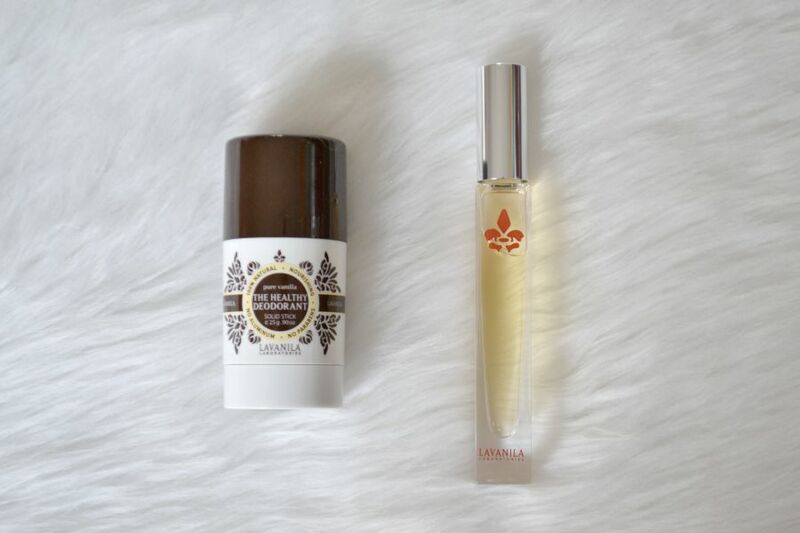 let us know how you go with the La Vanilla Deodorant. How much did it cost ? Oh wow, that's a big haul! Very interested to hear your thoughts on the La Vanilla deodorant. I've been a long time reader, and have finally started a blog. Would love for you to check it out. Love NSC! They've grown so much! I have the Grown hand cream and absolutely love it! I'm very interested to see how you go with the Lavanila deodorant - I always hear such great things! I've been looking at nilly + booth lately too! Great haul there! I ordered some stuff from them on Monday & couldn't have been more impressed with how quickly my parcel arrived (it was at my front door yesterday morning!) & the personal touches to my parcel...so much so I sent them a glowing email this morning to let them know my appreciation. Definitely going to order from them again in the future.